Buy Cool Flowers from St. Lynn's Press. Of course to me, all flowers are cool. But this Cool Flowers: How to Grow and Enjoy Long-Blooming Hardy Annual Flowers Using Cool Weather Techniques is about growing great flowers, especially for cutting, when the temperatures are chilly. If you thought your garden was pretty much over for all but the freezing, author Lisa Mason Ziegler guides us through some really great options. As a Midwest gardener in denial, I've always wanted to grow sweet peas, Godetia and Delphinium. But in the Midwest, we typically have a very short spring. Ziegler shows how to prepare our soil now for planting in early spring. It makes a lot of sense to do it this way, because who knows what the weather will be like when we're ready to plant? In my world, it's usually too wet and the soil is either soggy or compacted from snow and rain. With step by step instructions accompanied by photos, Ziegler shows how to dig a three-feet wide planting rows after removing this year's annual plants, roots and all. And she explains the use and benefits of a floating row cover, a lightweight fabric that can give from four to eight degrees of protection from cold, and protect from marauding birds and deer while allowing light through. Larkspur 'Giant Imperial' makes a great cut flower. 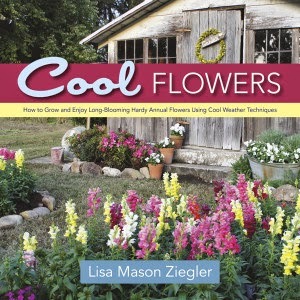 Cool Flowers is a little book packed with ideas and instructions on how to get started early to avoid what I call "instant summer syndrome," when hot weather muscles past spring and knocks the breath out of some of the best flowers for cutting. 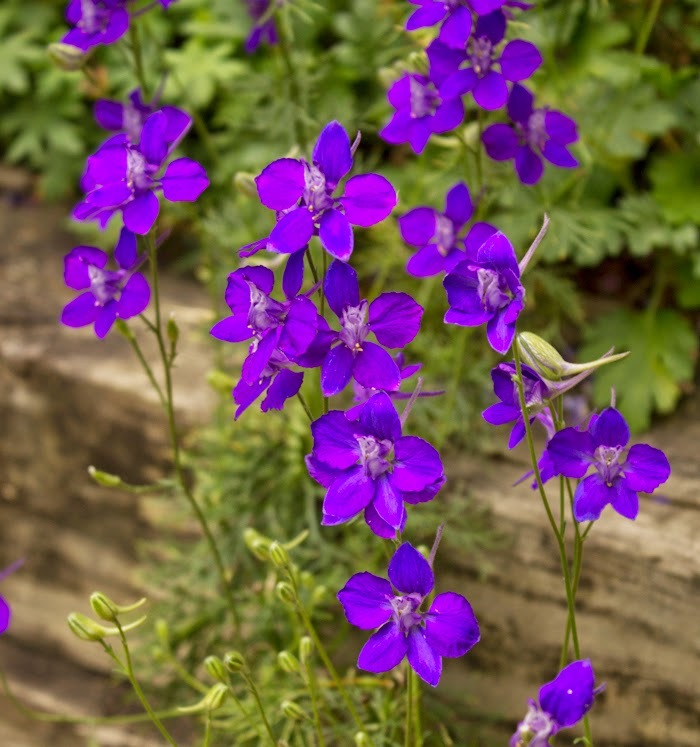 A few of the flowers Ziegler lists as candidates for planting either in early spring or fall include Lisianthus (Eustoma), sweet peas (Lathyrus) and white lace flower (Orlaya grandiflora) all of which I plan to try for next year. Lisa Mason Ziegler grows cut flowers for a living, so it makes sense to have as big a variety of healthy flowers as possible, as early as possible. She tells us about how to support plants that need it, how to feed organically, keep weeds down, and take advantage of microclimates. 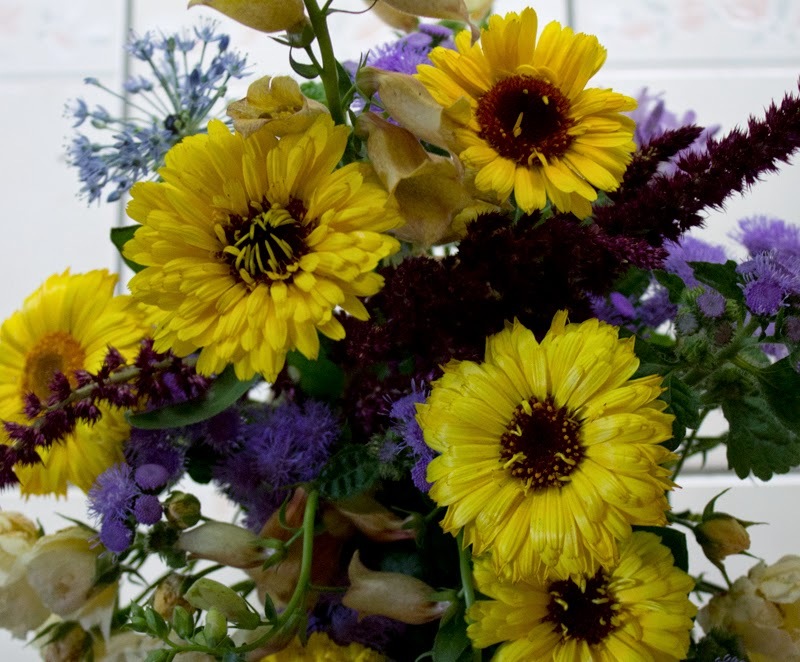 Calendula is one of the flowers Ziegler covers in her book. I've been growing flowers that happen to work well in a vase, but I find myself moving more toward flowers just made for cutting. Ziegler covers nearly all of the flowers with which we've had previous relationships. For me, those relationships never worked because of a lack of the flowers' ability to commit to the summer. Ziegler explains how plants that typically shrivel up when the weather gets hot can last much longer if they've been planted in the right spot and have had time to establish a good root system. It makes a lot of sense. Now that I know Ziegler's secret to success, perhaps I can find uses for all of those seeds I've purchased over the years but, for fear of failure, never started.